Campers will learn about the science of robotics with historical information, discoveries, and advances in robot technology. Newton’s Laws will be emphasized all week and each camper will receive three robot kits to work on. Campers will be able to take home their remote controlled robots! This year Club SciKidz will be featuring our 3-in-1 All Terrain Robot kit and our 14-1 Solar Space Fleet. 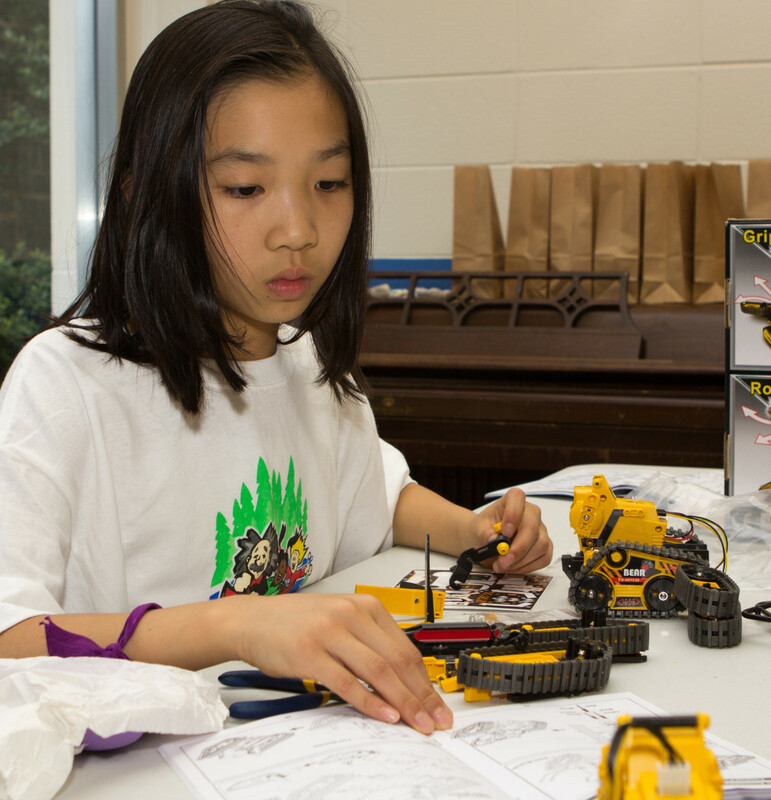 In addition to these projects, campers will learn how to solder with our LED Robot Blinker. 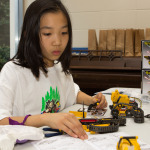 The skills learned such as wiring, gear building, and soldering will allow campers to go on to more sophisticated robot creation. The 3-in-1 All Terrain Robot is a multi-function tracked mobile robotic kit. Utilize different track modules and make your robot transform into 3 amazing variations: the forklift, rover, and gripper. 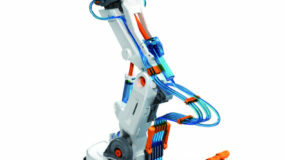 Using the wired controller, command the robot to move forward, backward, turn, grip and lift. The 14-1 Educational Solar Robot Kit is an innovative solar powered science kit that can transform into 14 different robot modes. With renewable energy sources having such an important role in our world, there is no better time to start children on the path to learning basic concepts behind these technologies.